A recent ruthless crackdown by Zimbabwe’s security forces left at least 16 people dead and nearly 600 requiring hospital treatment after assault and torture by the security forces. At least 81 people had been shot during the recent violent demonstrations . President Emmerson Mnangagwa, failed to attend his “thank you” rally in Mt Darwin, yesterday and at the same time, the Vice president, his deputy was airlifted to South Africa. The former army general, Vice President Constantino Chiwenga who executed a coup that ousted former President Robert Mugabe in November 2017, was on Saturday, airlifted to a South African hospital in a “medical emergency” at Groote Schuur Hospital in Cape Town sending the entire Zimbabwe government into panic. 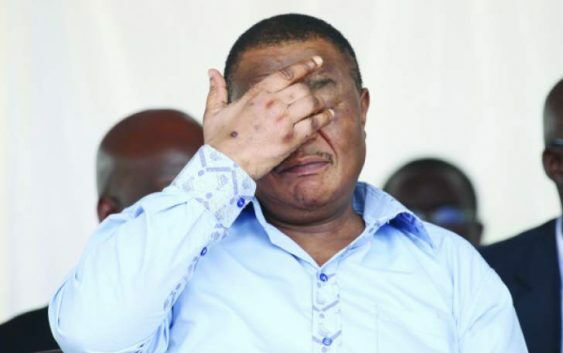 Vice President Constantino Chiwenga and wife, Mary, have been continuously losing their skin pigmentation, in a rare phenomenon that the Vice president has suggested was caused by poisoning. Former minister of Tourism and Hospitality Industry Walter Mzembi is in a critical state in hospital in South Africa and unable to stand trial over US$1.6 million theft of trust property charges he faces. At the same time, the former President of Zimbabwe, ousted Robert Gabriel Mugabe (94) is poorly and now wheel chair bound and most people rightly say It doesnt rain, but pour for Zanu pf!